Around Woodstock – Woodstock GA – August FNL- Downtown Carnival! Tomorrow is August’s Friday Night Live Event Carnival event in downtown Woodstock! From 6 – 9 p.m. the town will be transformed into a fun carnival complete with live music. Comedy on the Woodstock Trolley – The O’Brien Sisters, an Atlanta-based comedy duo will perform on the trolley. Robin and Jennifer are founders of Rubber Ducky Comedy, a clean improv comedy troupe with a style that’s a mix of everyday characters, observational humor and banter that only sisters can have. These two delight in entertaining audiences with clean and clever content that is suitable for all ages. Did we mention the trolley is FREE to ride? Teen Arts Community (TAC)– TAC will be kicking off its 2016-17 season with a carnival party on Elm Street Cultural Arts Village’s Event Green with games, food, inflatables and a giant slip’n slide! Parents and kids should get excited about this next part – for one time only, if you sign up for a TAC membership during FNL, your TAC shirt will be included (shirts will be a separate purchase for late memberships)! Carnival Party is open at 6 p.m. Admission is $10. Show your receipt of $10 or more from any downtown Woodstock merchant and receive buy 1 get 1 admission. Jugtime Ragband will perform outside of Seven Arrows and Cupcakelicious. Fire Stone Wood Fired Pizza & Grill will have live music by Chris Wold from 7 – 10 p.m. Pure Taqueria also will have live music as well. Blue Frog Import will feature some great vendors in front of the shop. RAK Outfitters will host carnival style games, complete with prizes, in front of the store. 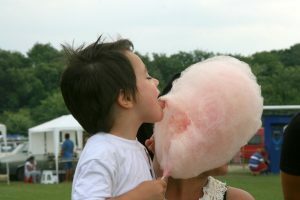 Madisonn Ave will have FREE cotton candy with every $20 purchase. Yum! Be You On Purpose will have many FNL sale exclusives, including up to 60% off apparel, accessories and more. They’ll even have delicious cake samples, cotton candy and more available outside! Branches will be offering FREE popcorn! Brooklynn’s will have Jimmy’s Italian Ice cart out front. For every $20 you spend, you’ll get a FREE Italian ice! Dive Georgia on Towne Lake Parkway will have a bounce house for the kids, and sales from 6-8 p.m. Spirited will be featuring a FNL exclusive $15 clearance rack and a chance to win a $50 gift card for anyone who makes a purchase. Other participating merchants include Ipp’s, Hot Dog Heaven, J Miller’s Smokehouse, Samson & Delilah, Meta Modern Music, Barrel & Barley, Woodstock Pharmacy, Truck & Tap, The Wright Stuff, Fashion Cupcake, Reel Seafood, Salt Factory Pub, Pie Bar, MadLife Stage & Studios, Century House Tavern, Canyon Burgers, Pure Taqueria, Freight Kitchen & Tap, Ice Martini Bar, Copper Coin Coffee, Yoguri, Maxwell’s Cigar Bar, Dismero, Holly Springs Jewelers, Dress Up Boutique, Yumsa, Magnolia Thomas Restaurant, Foxtale Books, Leaning Ladder, Moops and Vincenzo’s. As with each FNL, there will be a $100 downtown gift certificate giveaway. 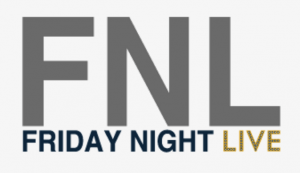 For every $10 you spend at a downtown business during FNL, you are entered into a drawing for the gift certificate. You’ll need to take your receipts to the Woodstock Visitors Center to enter. For more info, call 770-924-0406 or stop by the Woodstock Visitors Center.